Amanda Brady of Juno James Jewellery, designs and makes original pieces using mostly Sterling Silver and Gold-filed wire and chain. 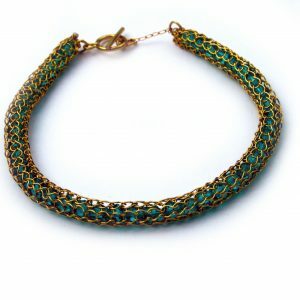 She knits and/or crochets her items and combines new and vintage beads to create compelling and unique jewellery. Italian tubular wire ribbon, “Silver Silk”, pre-knitted & coated copper craft wire and resin are used alone or combined to produce some of the items. Amanda’s Irish Beach Stone collection uses many of the methods already outlined, but pebbles from the Irish Coast are the point of focus. The stones are carefully chosen for colour, quality and shape and each piece is created to reflect it’s uniqueness. As every stone by it’s nature is different to another, Juno James Jewellery presents every customer with a one-of-a-kind product. 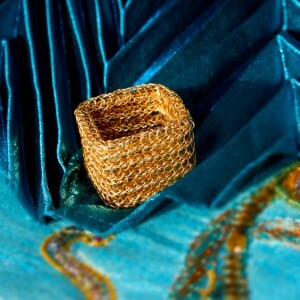 Amanda is a graduate of The National College of Art and Design (B.Des Vis Comm. 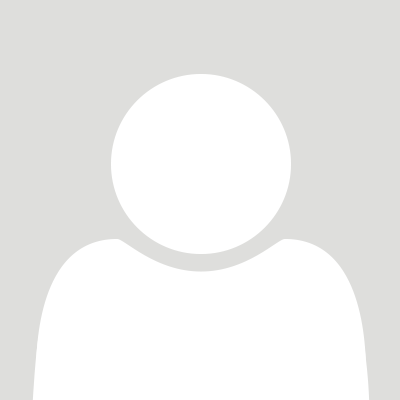 First Class Honours) and Middlesex University (B.Sc. First Class Honours).